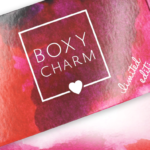 Ipsy Glam Bag Plus February 2019 SPOILERS! One of my Jan items was damaged so I emailed Ipsy. They are sending a replacement and allowing me to pick one item for Feb. Besides what’s already posted, another item is Finding Ferdinand lipstick in Nob Hill Red. That’s interesting. I got a damaged item in January but they didn’t offer to let me pick an item for February. I got a damaged item also and emailed them. They didnt offer me this either. Hey everyone! Just thought I’d let you all know that the Hey Honey moisturizer to go with the serum from January’s GBP is on sale at Ulta TODAY ONLY AND ONLY ONLINE for $21.50 which is 50% off. It ships free for platinum and diamond members. I snagged a couple of them to go with my Hey Honey serum from my GBP. what is a platinum and diamond member? I didn’t know there were differences. Diamond is the highest. I think you have to spend $1200/yr to qualify. I’m diamond. Is anyone else having troubles with their customer service? I sent two messages last week, still no response 😳 on top of that they sent me a product manufacturered in 2015 and a notification that i won’t be getting my glam bag plus even though I’ve been billed for the month ‼️ Trying to be patient and resolve but wondering what else i can do if they continue to ignore. I’m having the same problem with being billed, but it says I’m not receiving this months! I have emailed them and they said they are aware of it, and that the products I am getting should be visible in the “next few days.” I keep checking the site, but no change so far. I had the same problem, I was billed late because I had skipped but got FOMO after I saw the VV and 6 items. They got me billed and I just got my spoilers today. I hope you got yours! Yes, I am in the same exact boat as you. Seems their once top notch customer service has truly gone down hill. In regards to the Ipsy App saying we’re not getting this month’s bag/box & saying there was a problem with billing its been happening to me for the past few months & even though I’ve emailed them & sent in screenshots more then once, their CS keeps telling me it’s an app problem & that their app team is notified & are working on the problem, but it’s STILL not fixed!!! I told them it is very inconvenient because not only am I not seeing my spoilers until the 3rd week of the month(love my spoilers) but now I’m not receiving my bag & box until the end of the month when I use to get it around the 10th through the 15th the latest! I didn’t even get my glam bags & GBP until around the 24th this month! I hope they do something to fix it soon & wonder why they haven’t fixed it yet if they supposedly know about it like they keep telling me!? I thought I was the only one but apparently not & that bugs me b/c why ain’t they fixing the darn problem with their app! It’s obviously messing up people’s accounts & when they receive their items! If I go to 1 of my 2 accts, it STILL says on one page payment not received but yet I received that bag last week?! So I wonder what the heck is REALLY going on & why they haven’t fixed the problem yet?! Very weird!!! But you’re not alone ladies!!! My first month with GBP, and I’m already way more impressed than Boxy Plus…and less drama lol. Hopefully a few months on GBP, and March Boxy Plus will make me finally give boxy the axe and just keep GBP. So far way more impressed. I stop my Boxy also for the same reason. I’ve been surprised every month when the full bag is revealed after what I’ve felt we’re less than thrilling spoilers. The final bags have been AMAAAZZING. Even if I don’t like a couple things ( Eyeko eyeliner…really? ), I LOVE a couple others …and being able to buy add ins… he’ll yeah! I have NO IDEA how ipsy is able to provide us so many expensive items… but keep doing your thing Ipsy cuz I lov it! I started getting Glam Bag Plus in Oct and I have LOVED every box I’ve gotten! My regular Ipsy bags have been great as well. I will always subscribe. Thanks Ipsy! I can’t believe it!! I guess Ipsy has made some improvements with their shipping add-ons, because I just checked and my GBP shipped out yesterday and I had an add-on too!! Great job this month Ipsy!!! Ipsy is really doing a stellar job with the evolution of the GBP. I’ve been a subscriber to a few subs for a couple of years, and this is really impressing me as far as the brands and variety of products not seen in other boxes. Yes, they are doing repeats a little too early too soon, but i’m sure they have staff on reading comments to improve upon what they’re doing. I will likely cancel “the other” sub for good sometime soon (not this month though LOL). I’m in for the ride with this one. I may let my regular ipsy go soon too, but they have improved it as well. February is my birthday month, so I’m stoked. I hope I get the skin cream!! Years ago now, I was subbed to a box which bears no resemblance to what it is now ( I hope- I do not subscribe). Apparently, not only were the products less than stellar, their CS ” person” as in ONE person, took everything and made it personal against the subscriber. I got a box which was missing half of what it should have had going by the review here that Lix did of the box which had no variant products. Yes, I did, and I still consider it to be the best brush I own but that was not the reason I was contacting them- EVERYONE got the IT brush. LOL. Now, when I see an IT Cosmetics brush in the full length tube, I flash back to that company, it’s eccentricities and apparently very low subscription rate around 2013. If I get the brush then nothing else will matter. Have seriously enjoyed every single box I’ve received since glam bag plus started and February is looking just as impressive . I’m so glad they’re featuring current brands that are popular as well as some new brands. I also love that the box has been a mix of make up,skincare and hair care . I’m with you. I may not love every item, but I still love the variety of choices. I loved that Makeup Geek gloss a few months ago, and I LOVE skincare. I got a gbp invite but I’m not interested. Too bad we can’t give the invitation to someone else but that would spawn a bunch people selling their invites. MSA, any idea when they’re going to open this up to anyone that wants to sign up. I have no interest in regular ipsy as I’m already drowning in deluxe samples. Anway you guys could get another priority list like you did in August? thanks in advance. I emailed them in November and asked when I’d get an invite being that I was an existing subscriber and really wanted it. I got some kind of standard reply no real answer. The next month I was asked if I wanted to upgrade, which I actually declined because I wasn’t into December. Anyways, maybe it was a coincidence, but I think it’s worth reaching out to them. I did the same thing, emailed them asking when I would get invite and got it before the next month went out. January is my 3rd glam bag plus and I have loved everyone. Exited for Feb! If you email them they will send you a invite. I’ve told 4 people to do that and with in a month they get a invite and the following month they get their first plus box!! They must not like me. I’ve tried emailing them each month for the past 3 or 4 months and they just give me the standard generic reply. I’ll try again now and cross my fingers. It certainly work for me and highlighters…but maybe you’ll have more luck. Not me I’m getting another one this month I have enough highlighters to last me 3 lifetimes. Loving them, excited to see what else they add! Anyone knows whether these brands (other than IT) are cruelty free? Maelle is according to their website, and are Leaping Bunny certified. Son & Park maybe is? Korea doesn’t allow animal testing, but if they’re sold in China they’re required to be. Great options. I have the Son and Park already but it’s nice and is a great product! Bring on Kbeauty items!! The fact that GBP is offering a full-size skincare item or two each month really sets them apart from the rest. I’ve been pleased with each month, and as long as they keep up with the skincare I will stick around. Dropped BC because I was tired of the PUR stuff and was getting bored with it, but I’m loving GBP! I’m so very pleased with GBP I skipped January. I really wish I didn’t but I was trying to save a little money. Now I’m totally looking forward to next month. I also love how they have a good mixture of skincare and makeup. My favorite sub box for the last several months! I skipped too, but i wrote them an email and they unpaused me for January. I skipped Jan too based on the blah looking spoilers but the actual box ppl posting was waaayyy better than the spoilers. lesson learned. but you know what, I really do have way too much STUFF! I have been getting ipsy for like 3 years and also had Sephora and allure sub simultaneously for like a year so I have sooooo much I have not even opened yet. anyways, the feb box looks REALLY good so far. I really hope I get the brush and son &park. the bronzer looks really pretty and probably can be used as eye shadow too. So far so good .love getting brushes and the bronzer looks pretty. If I can go one month without eyeliners or mascara I’ll be happy.they do realize we only have 2 eyes right? I mean a good eyeliner or mascara may need touch up what ? Once. ? Block eye liner and mascara from your quiz and hopefully they will avoid giving those to you if possible. I’m totally unfamiliar with Maelle – does anyone have any experience with them? Google indicates they were (or maybe are?) a MLM , but not much about their products. I’m excited for these spoilers, I quit looking so much at RV and just look at whether or not I use the products I’m receiving. I actually like the products I’ve been getting from Ipsy Plus and I’m consistently using them. Definitely not skipping this month! Loving these spoilers. When your positive comment doesn’t post and you have no idea why..? Mine either. Who knows? It happens to me all the time, and it’s pretty frustrating. I don’t ever use bronzer as I prefer the contrast of my natural coloring but that bronzer compact is byootiful. It looks like it would be really pretty on and with a light hand, it would just give a luminous finish. Ipsy Plus always seems to be way worth the $5 per item, and has such a great variety of brands and products. Seriously loving Ipsy Glambag Plus. I am happy it’s a mix of makeup and skincare. I hope Boxycharm takes notes and start looking how Allure and Ipsy are curating great boxes ! How do you get the glam bag plus? It is frustrating and often they never post and you’re just left hanging wondering why. In this case, my comment posted after several minutes thus the rolly eyes because of course, it would post after I said something about it, smh. Sorry, I don’t know how the above reply posted here but I give up for today. @Ami, you should try emailing Ipsycare about it, maybe they can get you on there. It’s gaslighting and it happens all the time here unfortunately. I almost bought that brush last month! Great reviews and $$$! I ended up buying an on sale Sephora brand foundation brush and its “ok”. I need something other than a beauty blender which I don’t really like. I can’t believe they have February spoilers out! Love my upcoming January box and add one! I have heard great things about IT brushes. This might be my time to try one! I have several IT brushes and love them all. I am definitely hoping for the IT brush! Not super crazy about these spoilers, but that bronzer is pretty and I have heard IT makes great brushes. I haven’t yet gotten my GBP invite, but these are great items. Primer, flat top brush, and bronzer are all currently on my “need to buy” list. So hoping 1 or all will be offered as add-ons for the regular bag. Fingers crossed! Ugh. I just can’t get it right with ipsy. Cancelled after 3 months and some awful boxes. Then loved the January GBP, but missed it. Signed up in time for this box and nothing looks good. Blah. Sigh. I keep telling myself I’m going to cancel IGBP but I can’t. I live these spoilers so much! I love these spoilers live to have all 3 of them this might be a great bday month for me from Ipsy loving all 3. It’s by bday month, too. Happy Birthday. It looks like a great bag/box to me. I love Son & Park Beauty Water toner which I discovered through ipsy, so I’d be very happy to get the moisturizer next month. Wow! I’m a happy customer- those are excellent products. I love those brushes too- they are the nicest ones I own. They are so fluffy and soft! Excellent spoilers, I really appreciate that they are including full size items that are at Sephora and Ulta and have good ratings. Definitely a treat compared to some similarly priced and marketed subscription boxes that don’t always curate the best known or best rated brands/items. Boxycharm is always a good deal, but often I find myself not as excited about particular brands and products. Ipsy is killing it. Holy crap… GREAT spoilers! Ipsy Plus has been doing such a great job at curating their boxes. LOL….that’s what I’ve been saying since Sept when I first saw the Oct spoilers for Plus. Cancelled boxy on the spot & got on the waitlist for Plus. So tired of the crap boxy was sending. I was one of the very lucky ones that got the first box in Oct. I’ve been loving it !!!! But, I fully planned on having to wait a month or 2 to get off the waitlist. This one is def worth the wait. *We need a way to ‘heart’ comments on here! I would have hearted your comment the second I read it! Is there a way to get on the waitlist now? Or do I need to get invited to get on the waitlist? When I signed on to view my spoilers yesterday there was a link on the ipsy page inviting me to sign up for the waitlist. I already get the gbp so that’s a little strange, but it might be a good idea to check around the site or Google how to get on the gbp waitlist. I got early access to the plus thru the msa link several months ago, so def keep an eye out for things like that as well. These are incredible spoilers!! I’d be happy with any of these. I love bronzers with highlighters mixed in (Becca Sunrise is my fav) and I’ve never tried an IT brush ($48 at Ulta) and that moisturizer is at Sephora $32 with 4 stars and I’d love to try a new brand to me. I’ve been super happy with my Ipsy boxes. I LOVE IT Cosmetics brushes! They are definitely one of my favorites! They are pricey so I’m so glad it’s in February’s box! Nothing jumps out at me with these spoilers. I have a ton of brushes just from Ipsy glam bag and GBP subs and I don’t use bronzers. The only one I might be keen on is the moisturizer. Maybe it will turn up as a full-size add on option for my regular glambag. I’ll wait for the next round before I shut it down with GBP. I told myself starting Jan 2019 I could only keep IGBP or Boxy. Here it is January and I have made no decision. I am leaning towards IGBP. I really want that brush. I *need* that brush. Same here, had to make a decision between the two and I went with Boxycharm – but I made that decision before I saw this spoiler and hmm this looks really good. It’s okay, I guess. It’s just hard to get excited when you really don’t need anything. Box burnout, it’s time to de-stash, I had to for a few months. Donated a lot over Xmas to the local women’s shelter. I found myself not getting excited about trying new products and had to stop reading spoilers and reviews for a few months too. Same. I have way too much product on hand that I need to use up before getting more stuff I don’t necessarily need. It’s bad when you walk into a Sephora and realize you don’t need anything. I go now just to get my free items and perfume samples.